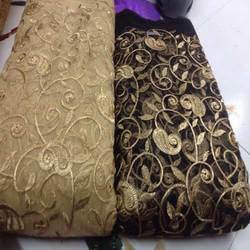 Pioneers in the industry, we offer to tone ferric, net fabric, brasoo fabrics, georgette zari work fabric, plain fabric and pure shiffon border with half-half sarees fabrics from India. We feel proud to introduce ourselves as the well-known manufacturer and supplier of TO TONE FEBRIC . The offered Net Fabric is appreciated for color fastness and elegant designs. Our supplied TO TONE FEBRIC highly liked for vibrant colors and aesthetic designs. The offered TO TONE FEBRIC very economical in rates. USE FOR DRESS MATERIAL ETC. We feel proud to introduce ourselves as the well-known manufacturer and supplier of Net Fabric. The offered Net Fabric is appreciated for color fastness and elegant designs. 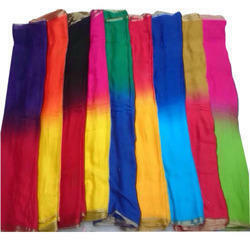 Our supplied Net Fabric is highly liked for vibrant colors and aesthetic designs. The offered Net Fabric is very economical in rates. We feel proud to introduce ourselves as the well-known manufacturer and supplier of Net Fabric. The offered Net Fabric is appreciated for color fastness and elegant designs. Our supplied Net Fabric is highly liked for vibrant colors and aesthetic designs. The offered Net Fabric fabric is very economical in rates. We feel proud to introduce ourselves as the well-known manufacturer and supplier ofBrasoo Fabrics The offered nylon jacquard fabric is appreciated for color fastness and elegant designs. Our supplied Brasoo Fabricsis highly liked for vibrant colors and aesthetic designs. The offered Brasoo Fabrics is very economical in rates. 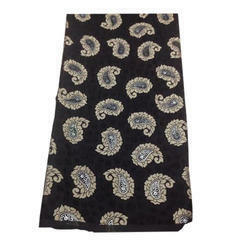 We feel proud to introduce ourselves as the well-known manufacturer and supplier of Georgette Zari Work Fabric. The offered Georgette Zari Work Fabric is appreciated for color fastness and elegant designs. Our supplied Georgette Zari Work Fabric is highly liked for vibrant colors and aesthetic designs. 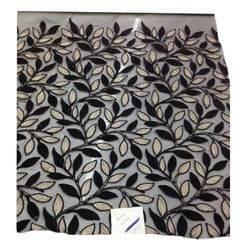 The offered Georgette Zari Work Fabric is very economical in rates. We feel proud to introduce ourselves as the well-known manufacturer and supplier of Plain Fabric. The offered Plain Fabricis appreciated for color fastness and elegant designs. Our suppliedPlain Fabric is highly liked for vibrant colors and aesthetic designs. The offered Plain Fabric is very economical in rates. We feel proud to introduce ourselves as the well-known manufacturer and supplier of Pure Shiffon Border With Half-Half Sarees fabrics. The offeredPure Shiffon Border With Half-Half Sarees fabricsis appreciated for color fastness and elegant designs. Our suppliedPure Shiffon Border With Half-Half Sarees fabrics is highly liked for vibrant colors and aesthetic designs. The offered Pure Shiffon Border With Half-Half Sarees fabrics is very economical in rates. We are one of the well-known manufacturers and suppliers of moti work. 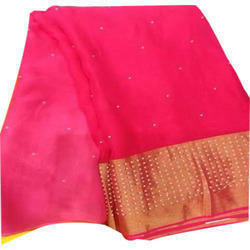 The offered Banarasi Work Saree is liked for beautiful patterns and lovely designs. Our supplied moti work is very popular among women of all age groups and cultures. The moti work is highly appreciated for color fastness and elegant designs. Looking for Fabric Work ?